QPR Community Trust provides high-quality coaches to support your school in the delivery of various aspects of school sport. 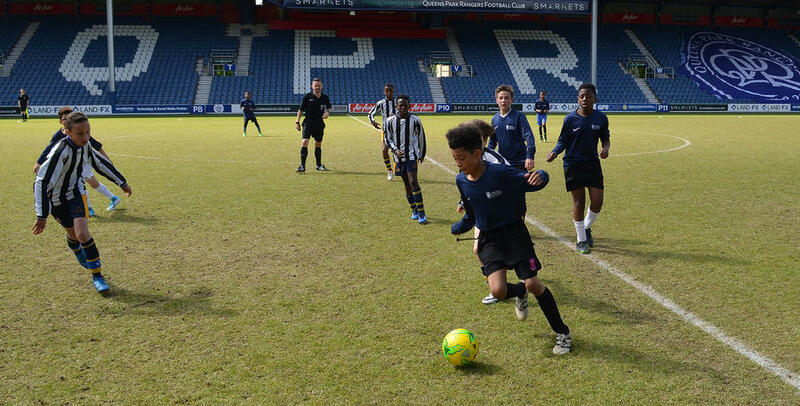 QPR in the Community Trust are able to help your school extend its sports provision by offering a variety of extra-curricular activities to suit the needs of your school and pupils. A wide range of sports can be delivered throughout the academic year. Sessions focus on skill development, application, and participation. To discuss the Trust’s extra-curricular schools offer in more detail, please contact our Schools Development Officer, Gavin Forbes – [email protected] | 07483 006 844. We offer the chance for schools to take part in a variety of exciting competitions and tournaments. We aim to offer a programme of tournaments that span a variety of sports across KS1 and KS2. Where possible we also try to link in our tournament schedule with local sports partnerships. During 2016/17 we had 1,000+ pupils take part in our tournaments. To find out more, please contact Schools Development Officer, Gavin Forbes – [email protected] | 07483 006 844.